Every family can relate that deciding which family member will host the annual holiday party can sometimes be a pain. It’s more of a pain when you find out last minute that this year you will be the one hosting the party. From deciding the menu, to decorating the house, there is barely any time to think about cleaning. You think to yourself how you can’t afford to spend an entire day cleaning, with the never ending to do list you need to complete before the big day. Hire a home cleaning service, and customize the cleaning experience you want. Gain an entire day back planning a holiday to remember, and become a pro at hosting Christmas. It’s also never a bad idea to look up some stress-free holiday tips. Remember, it is your holiday too and you should enjoy the time spent with family and friends as well. There is no better feeling than decorating your house for the holidays, without having to worry about cleaning the house as you are bringing in the decorations from storage. The family enjoys decorating, but when you have a list of chores that must be completed before you get to the decorating, the task becomes daunting. Don’t become a grinch before the holidays even begin! A cleaning service can be hired to come in and handle all the not-so-fun cleaning, so your family can enjoy a peaceful day decorating the tree and hanging the stockings. Christmas is right around the corner, and before Santa brings new toys, you have to organize the kids’ rooms and play room before the latest and greatest round of toys gets thrown in the mix. Sometimes it isn’t an easy task to be Santa’s helper, along with organizing the house to make room for new gifts. Hire a cleaning service to be your holiday helpers. They will organize the rooms and make sure everything has a place. And we’d also suggest getting rid of old, unused toys before the new ones come – this is also a great way to give back to your favorite charity during the season of giving. Your office is hosting a company holiday party, and Corporate has decided to surprise you with a visit. You think to yourself how you work with a bunch of slobs who leave dirty coffee cups in the sink, trash piling up, and paper stacked all over desks, and there is no time to meet project deadlines with tidying the workplace. You can’t fathom your boss coming into your office without everything being in tip-top shape. There are many reasons to keep your work area clean. For starters, it shows you are professional and reflects your personal image. This is exactly how you want corporate to view you. It’s the perfect time to impress the bosses! Cleaning companies offer many different office cleaning services and it is a great idea to show your boss you can do it all and stay organized. To make your guests feel welcome when they stay with you over the holidays, it is important to have their room comfortable and tidy. Have a few extra pillows and blankets in the closet in case your guests are needing some extra support. If you have a room that hasn’t been cleaned in some time, then you can hire a maid to come in and tidy up, so you can have the room fresh and inviting. They will help you to not forget to dust the fan or clean the curtains. Don’t spend your time stressing about having overnight guests, but enjoy their company by taking away the cleaning hassle! When the holidays are said and done, it is always hard to get motivated to put away all the decorations and to get rid of the many Christmas tree needles that have been pushed around your entire house. It is the perfect time to get things organized, but you never know where to begin. The benefit of hiring a cleaning service is that you can enjoy one more day without responsibility and trust that they will clean the house to your liking. They will organize everything from your wrapping papers to your pots and pans. And many organizations now offer one time cleaning services, if that is all you need. 2 hours minimum and 2 cleaning person required. All cleaning products, supplies and equipment included. A cleaning and maid service provider that does not require contracts. 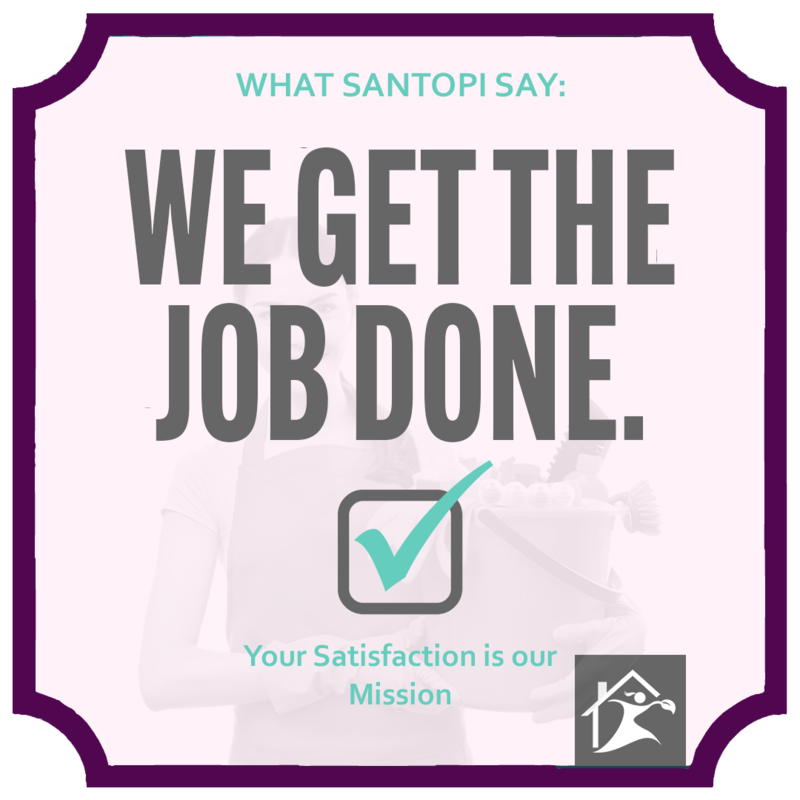 Your satisfaction matters to us, so we take steps to ensure that you are happy with the results. This is why you can have confidence in choosing us! Your clean house is our guarantee, and we’re prepared to back that up. Nothing is more important to us than your satisfaction. We guarantee that you will be happy with the quality of our cleaning services or we will return the next day and clean it again at no additional cost! Please help us to understand the amount of time that will be required to thoroughly clean your home by answering the following questions. **Other Rooms: I.E. den, play room, family room, office, etc. excluding kitchen, living room, dining room and basement.